This post was first published on the Place Brand Observer blog. The Place Brand Observer connects place branding thinkers, shakers and doers. It offers case studies and examples of city, region, destination and country branding, and provides insights into responsible, sustainable branding of places, including cities, regions, countries, nations, and destinations. On 1 October Malcolm Allan of Placematters unveiled the brand and marketing strategy for the Cork city region in south west Ireland at the Global Cork economic conference in the city, an annual event promoting the city region to developers and investors, featuring new initiatives to build the region’s economy. 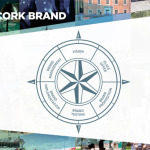 This brand strategy is the product of twenty months hard work by a brand development team led by Colliers International Destination Consulting (Dublin), supported by Fuzion Design and PR (Cork), Location Connections (London) and Placematters. 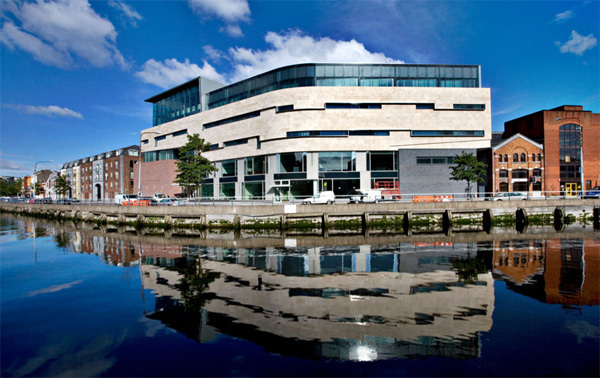 The client for the project was a public private partnership of major stakeholders in the region consisting of Cork City, Cork County, Cork Chamber of Commerce, the Port of Cork, Cork Airport, Cork Institute of Technology, University College Cork, the South West Regional Authority and Fáilte Ireland (the national tourism development body). The objective was to reach agreement among stakeholders, informed by consultation in the community, on a galvanising vision for the development of the region that would inform the development of a brand strategy – a focussed brand proposition that would encapsulate the region’s key value propositions for existing businesses, potential investors, local and migrant workers. 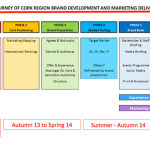 Assess current (2013) strategic messaging on the offer of the Cork Region. Identify who was marketing Cork and how Cork performs in various international rankings and indices. Develop a Brand Proposition for the region as a spur for its economic development. Test and refine the emerging proposition. Prepare a Brand Book for all stakeholders to market the proposition in a coordinated way – singing from the same hymn sheet! 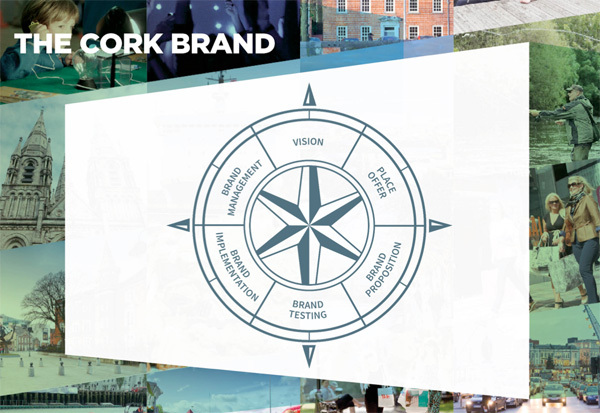 Provide advice on the organisation, responsibilities and work of CORK INC – a new body to manage the marketing of the brand proposition and its future development. Elevate awareness of its offer domestically and internationally in a Europe and Global economy of growing city regions. Think and act more strategically in terms of its branding and marketing. Identify and promote its global credentials as a location for business development. Not rely on others to promote it – e.g. the Irish IDA. 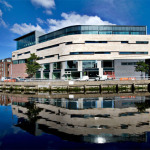 Have more focussed conversations that deliver investment and business expansion for Cork. Help stakeholders sing from the same hymn sheet in promoting the region’s offer and experiences. To undertake the work the brand development team used the Placematters Brand Compass, a proprietary tool that enables places to envisage their desired future place and chart a pathway to get there and make a reality of their vision. It lacked the passion of the people and business of the region. It was functional, not engaging and largely not effectively targeted. The propositions were not clear and messages were not doing justice to the region. The region was failing to capture the great stories of the place and its people. Communications were not inviting potential investors to share their agenda and needs. There were a lot of unconnected messages. There was too much detail in the messages. Communications were failing to exploit regional, national and global connections. There was a great story failing to be heard because of too much noise and babble – a Tower of Babel effect. To complement the audit of communications the team extensively used social media to solicit views and opinions on the current offer and experience of the city region. 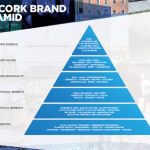 Overall the responses indicated a large sense of satisfaction with Cork as a place to live, learn and work, especially satisfaction with the quality of life, with learning and job opportunities. 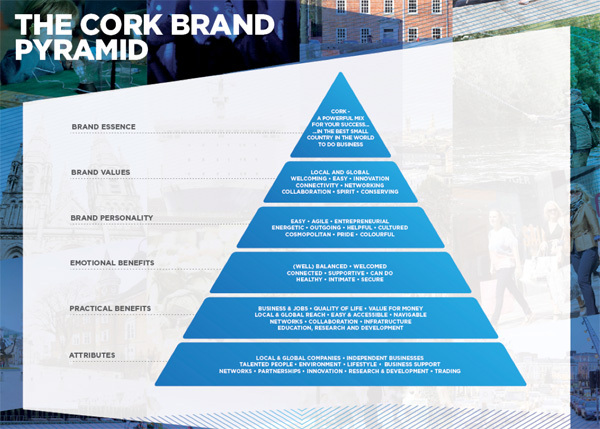 The team used these results to consult with a number of businesses in key sector groups and communities throughout the county of Cork to identify what people considered to be the core of the region’s economic development offer that might form a brand proposition. The team then carried out an extensive audit of the offer and experience of the region that had been identified through the consultations and its own research – of its assets, attributes (the things it is good at) and its range of attractions, for example, its offer to inward investment companies, to expanding local businesses, to young people wanting to take courses in further and higher education, and to people considering coming to the region to work. The results of the audit enabled the team to construct a “proofed” brand proposition for investment in the economic development capacity of the region – all propositions being identified and proved to be accurate. The essence of the proposition is that the region has the right mix of offers for people and business to make a success of their careers and their firm’s development, based on four brand pillars – an extensive economic support menu, a great quality of life, a great learning environment and a significant cultural, heritage, leisure and entertainment offer, as important to local people as it is to visitors and potential investors. This draft proposition was then tested locally in the region, in Ireland and internationally through the Colliers International global network of offices. A summary of the draft proposition – a Brand Descriptor – was posted on the internet with a questionnaire for respondents to record their views. A significant majority of respondents validated the proposition and many suggested ways of strengthening it which was helpful in refining and finalising it. 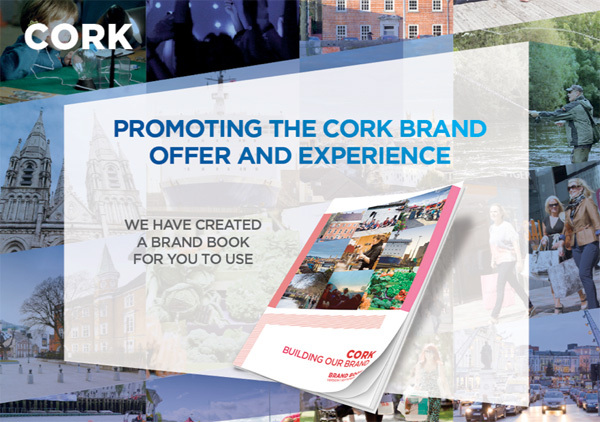 Following the launch of the brand stakeholder’s staff were briefed on the proposition and how to make effective use of the Brand book and work is now underway to create a new organisation – CORK INC – which will be responsible for managing the promotion of the brand and its future development. 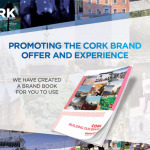 Just a quick note: this is the new link to the Cork city branding case study by Malcolm Allan.